When it comes to Cybersecurity, no CIO wants the risk. Now more than ever, business leaders must constantly assess the effectiveness of their cybersecurity expenditures. How much should they spend on hardening systems? Would that money be better spent training our workforce? How do they lower their risk while keeping the workforce focused on key priorities and objectives? How much is enough to protect the organization without breaking the bank? Making these decisions is a balancing act between resource constraints, regulations, legal liability and potential market consequences. That’s where ManTech’s Advanced Cyber Range Environment (ACRE) can make all the difference. ACRE is a unique physical and virtualized facility that brings ManTech’s best-in-class cyber defense expertise to a new generation of professionals in business, infrastructure, transportation and federal agencies. ACRE enables you to efficiently create replicas of your existing systems and network structures, and then to activate those environments with realistic traffic, automated users and even malware. Using our cyber range tools and techniques, we rapidly create a high-fidelity replica of your network environment, then assess that model instead of the real network. You can run destructive tests and detonate malware without fear of damaging valuable assets. ACRE enables you to wipe, regenerate and replicate your environments in seconds. Within ACRE, you can deploy virtual systems and take advantage of hardware-inthe-loop capabilities to integrate actual physical systems into your cyber range environment. You can use these models to experiment with and test network modifications to improve your overall cyber posture – then identify strengths and gaps so you know how best to spend your limited budget. New technologies bring your organization new capabilities and cost savings, but they can also bring unforeseen performance and security risks. Does the technology truly do what it claims? How much effort is involved in its setup and configuration? How long will it take to integrate and begin realizing value? Seeing is believing. Testing within a cyber range environment can yield insight into these and more questions. Invite your vendors to deploy proofs-of-concept within your cyber range environment and see for yourself how the product performs. Flow realistic network traffic through the product, and introduce realistic network When it comes to Cybersecurity, no CIO wants the risk. 2 constraints – bandwidth limitation, packet loss, jitter and latency – to see the product’s real performance characteristics rather than under ideal, antiseptic lab conditions. By comparing product alternatives, you can make truly informed decisions. Use your cyber range environment to train your personnel in a real-world simulation. You’ve trained your personnel and designed your systems, policies, and procedures to ensure your organization’s resilience against cyberattacks, but how will they perform when the pressure is on? 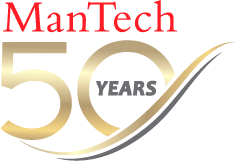 ManTech can help you design and execute cyber exercises that put your organization to the test. Leverage safe cyber range network models to place your personnel in a highly realistic environment, and then challenge them to handle a no-holds-barred cyberattack scenario. Can they follow your procedures and playbooks? Do your tools effectively produce the information they need? Do your procedures work as expected? In the cyber range, you can capture measurable answers to these questions and more. Download the Cyber Risk brochure.